Home » Football Drills » Football Conditioning Drills » 5 Drills for Running Back Footwork and Agility! Agility is a skill every athlete needs, but in football, training for agility is position specific. When working with your running back, you want to incorporate drills that focus mainly on running back footwork and the ability to run not only straight ahead, but also ability to change direction without losing momentum. 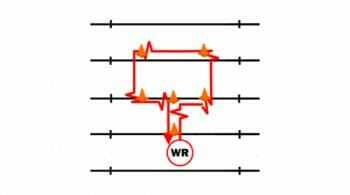 In today’s blog post, I have put together 5 fantastic drill videos to help you teach running back footwork fundamentals and agility conditioning! This video features some great Running Back footwork drills you can incorporate into your next practice. 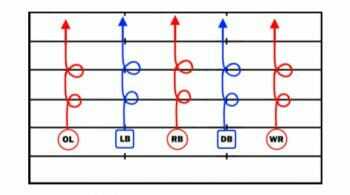 These drills are beneficial in improving the game of not only your running back, but your tailbacks and quarterbacks as well! The Figure 8 is something that you should incorporate into your practice plan every day. 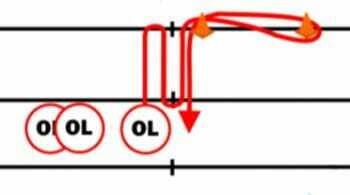 It is a fantastic drill for quick footwork, that uses PVC pipes made into 2 circles, and your players will basically run in a figure 8 pattern around the PVC circle route that you have created. This is an awesome warm up and agility drill that we like to do to get the eyes and hands ready to go. 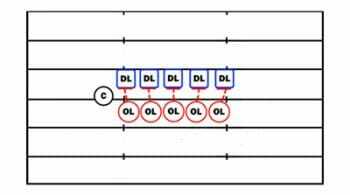 This agility drill allows players to work on both agility and catching the football at the same time. If you’re looking for more like this, check out our complete collections of running back drills for all ages and ability levels.